It was a terrible day in last month when we heard about the death of one of Nigeria’s favourite OAP Tosyn Bucknor who died as a result of the sickle cell crises she has been battling with. Many shared their condolences on social media but some acts have decided to take it to the studio to make a farewell song to the legend. Falz calls on singers Simi & Moelogo to put out an effort tagged “Angels Don’t Die” which is a Tosyn Bucknor Tribute to honour the late OAP and radio presenter. It was produced by Sess. “Angels Don’t Die” by Falz x Simi, Sess & Moelogo runs as the first tribute song in honour of the late OAP. She reportedly worked for Inspiration FM which is one of the biggest radio stations in Lagos Nigeria. On this song the four acts expressing their unrest about how soon the OAP died and praying that her soul rests in perfect peace. They also stated all the helps she has rendered during her time in and added that she will never be forgotten. 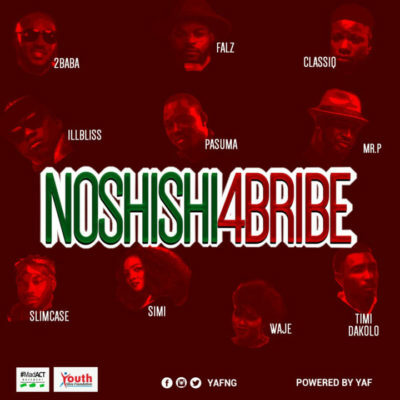 Waste no time to stream and Download “Angels Don’t Die” by Falz, Simi, Sess and Moelogo below and also pay your own tribute to the OAP along with them in the comment section below. RIP Tosyn Bucknor! You will be missed.